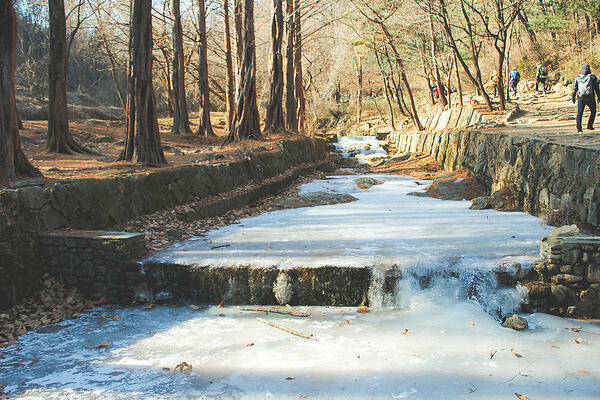 Cheonggye Mountain is on the outskirts of the southern part of Seoul. One can transfer from the green line at Gangnam Station to the red line. The red line is called the Shinbundang line, and it is a fairly new subway line. Once on the Shinbundang, you get off on Cheonggyesan Station. Take exit 2 and walk straight until you reach an underpass. There are many local farmers selling fresh fruits and vegetables at the underpass. Once past the underpass, all one has to do is follow the many hikers heading to the beginning of the trails. 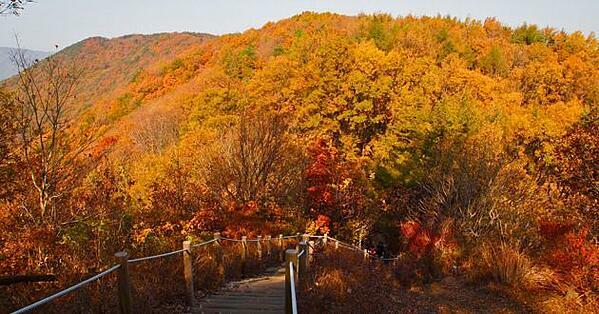 Once at the beginning of the trail, one will find many hiking gear stores and restaurants. The restaurants are perfect for an after hike meal. Some shops are run by farmers that farm on the mountain. Thus, the food is all fresh and has all the flavors particular to that season’s harvest. It is truly fresh and delicious. It is definitely one of my favorite parts of hiking this mountain. 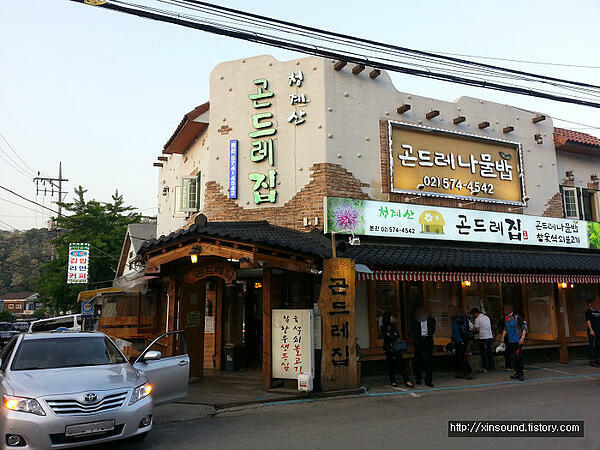 The one I visited is called 청계산곤드레집본관 and it is pretty easy to spot. I will place the link for their address at the bottom. Also, the menu I tried was 곤드레 나물밥, which is basically like a bibimbap. It cost 9,000 won per person. 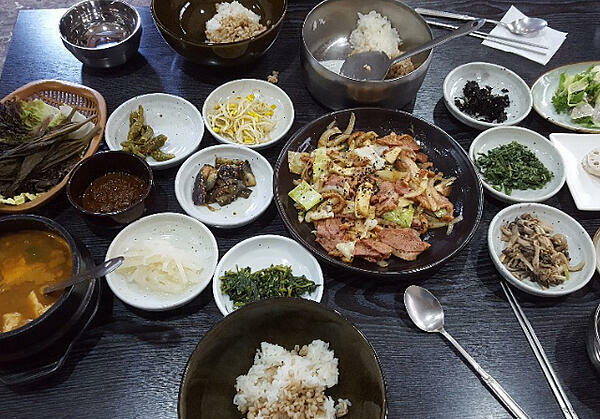 There are many side dishes, and you mix as many of them as you want with your rice, then add a special red sauce that is similar to the red bean paste one eats with bibimbap. 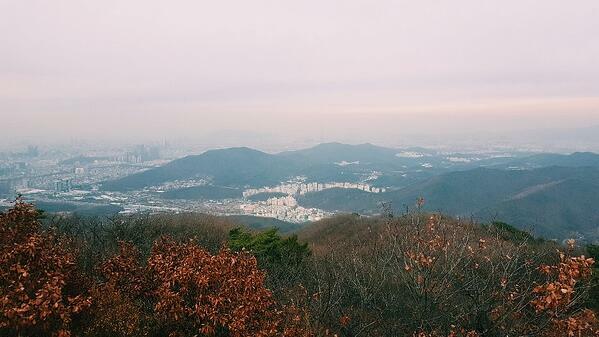 There are two peaks on this mountain to hike, but the popular one is Maebong Peak. This peak has the best views on this mountain. It takes an estimated hour and a half to two hours to complete the popular trail from Wonteogol Enterance. This trail is about 3 km long. 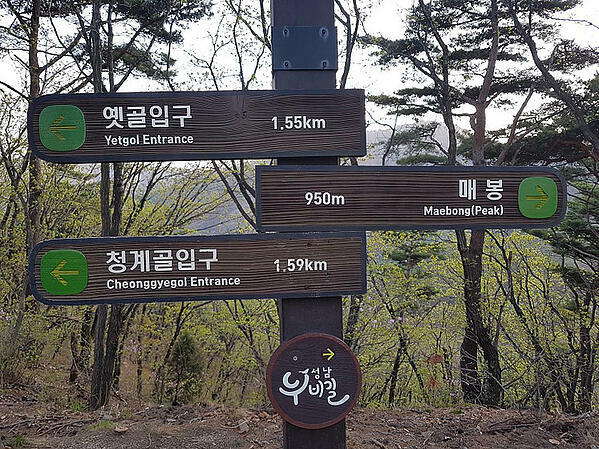 Follow the signs as follow: Wonteogol Entrance → Wonteogol Mineral Spring → KKalttakgogae Ridge → Heliport → Maebong Peak (582m). The hike trails are well paved. There are lots of signs in Korean and English, and there are lots of stairs. It’s great for not getting lost, not being too intense, and a great ‘stairmaster’-like workout. Also, there are small parks along the trails with sturdy picnic tables. 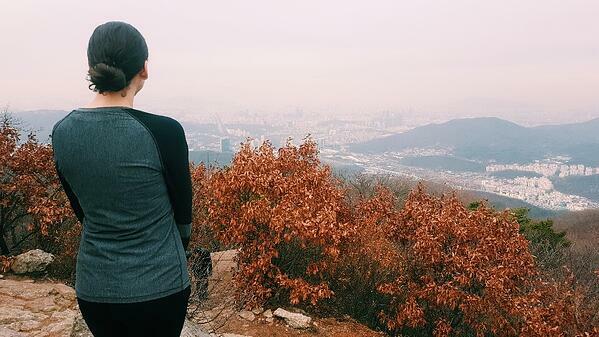 Thus, one can visit this mountain for a picnic surrounded by lush vegetation right on the outskirts of such a busy city, like Seoul. It’s great for all four seasons.